I suppose Wifred Mott would garner a lot of votes here. I've never been a fan of Bernard Cribbins but I do think this is by far the best I've seen him on screen. he's far from a favourite of mine though. Wilfred is the best of the New Who companion's family members by far. I am not a fan of the 'family' characters so none of those make the cut. 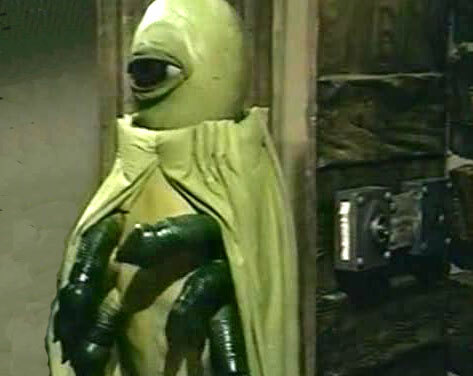 I loved the Meddling Monk character but as I am not lucky enough to have seen his appearance in Dalek's Masterplan I feel he isn't recurring enough. I like the Rani, female villains are lacking, but she hasn't been given the right stories, yet.... I liked the disruption captain Jack brought in his early appearances but he's just a touch too Lord Flashheart. This is a no-contest piece. Alpha f'ing Centauri. Squeak off you annoying delegate. Spot on with Alpha Centauri as well!